Wrongful death occurs when a victim is killed as the result of negligence or other unlawful or unjust action by another. Generally, wrongful death consists of four elements: (1) death was caused, in whole or in part, by the conduct of the defendant; (2) the defendant was negligent or strictly liable for the death of the victim; (3) there is a surviving spouse, children, beneficiaries and/or dependents of the victim; and (4) monetary damages have resulted from the victim’s death. Wrongful death can arise as the result of medical malpractice in a hospital, doctor’s office, prison infirmary or office of a health care provider. For instance, I represented the family of a prisoner in Georgia who died as the direct result of the medical malpractice of a physician provided by a private corporation and hired by the local county to provide services to the inmates in jail. Additionally, wrongful death can arise out of automobile crashes, tractor-trailer collisions or airplane crashes. It can also result from occupational or work related hazards. The American philosopher, Henry David Thoreau, once said that “[t]here is no value in life except what you choose to place upon it and no happiness in any place except what you bring to it yourself.” Although Thoreau passed away in 1862, this philosopher was ahead of his time in his working definition of the value of life in that he surmised there was both an economic and non-economic component to its valuation. Some 38 years later after the death of Thoreau, Georgia Supreme Court Chief Justice Thomas Simmons wrote “[a]t the present time, [wrongful death] statutes exist in nearly all of the States of the Union, and none more liberally protect the rights of the [spouse] and child than does that in Georgia.” At that time, the Georgia statute on wrongful death was silent on how to calculate or determine the value of the damages for the destruction of human life. However, Georgia was in the forefront among the states in terms of explicitly valuing and recognizing the loss of human life. Now, after several amendments, the Georgia statute pertaining to wrongful death and the valuation of human life is silent no more. Measure of Damages The measure of damages for wrongful death is the full value of the life of the deceased. The full life of the decedent includes both economic damages (e.g. projected lifetime earnings or income) and non-economic damages (e.g. the full enjoyment of the experience of living). Generally, the surviving spouse of the deceased may sue for wrongful death but is required by law to share the proceeds equally with the surviving children. If there is no surviving spouse, then generally the court may allow the surviving children to prosecute the wrongful death. If there is no surviving spouse or children, then the parents of the deceased may sue. If there is no surviving spouse, children or parents of the decedent, then any siblings (e.g. brother or sister) may sue. 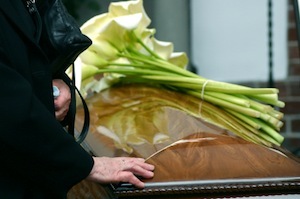 Funeral, Medical expenses and Conscious Pain and Suffering Under Georgia law, the estate of the decedent has the right to sue for funeral and medical expenses associated with the death of the decedent. Further, if the estate can prove that the deceased experienced pain and suffering while conscious before death, then the estate is entitled to such damages. Punitive Damages In some instances, the estate can pursue punitive damages against the defendant. Punitive damages are additional damages awarded to penalize, punish or deter a defendant. Punitive damages may arise when the facts of the claim indicate intentional or outrageous acts or the reckless indifference to the rights of the decedent. If you believe your family or others have suffered a wrongful death, do not wait to contact Attorney Kevin Ford, regarding this claim. It is of utmost importance to document all available evidence pertaining to this claim before such evidence is either unintentionally or intentionally destroyed by the defendant. On occasion, evidence on a roadway will disappear or medical notes will be altered or destroyed. This can happen from a simple Georgia rainstorm (e.g. measurement of skid marks) on the roadway or a calculated effort to remove original nursing or physician notations. A statute of limitation is a law that restricts the period of time within which a person may initiate a legal proceeding. Generally, a wrongful death action in Georgia must be filed within two years of the date of the death. In some specific instances, the statute of limitation may be tolled. Mr. Ford has over 25 years experience in wrongful death actions from both an insurance defense and victim perspective. This invaluable experience makes Mr. Ford stand out among fellow lawyers and Mr. Ford will provide the effective representation that you deserve! The Law Offices of Kevin C. Ford is currently accepting wrongful death claims throughout Georgia. Please contact us today for a free consultation.